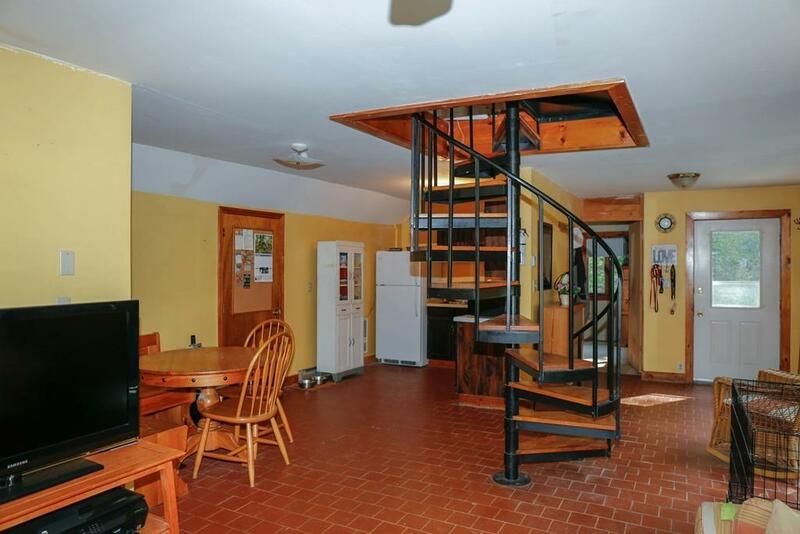 This 2 bedroom contemporary home is nestled on 2.58 acres of private, wooded land. 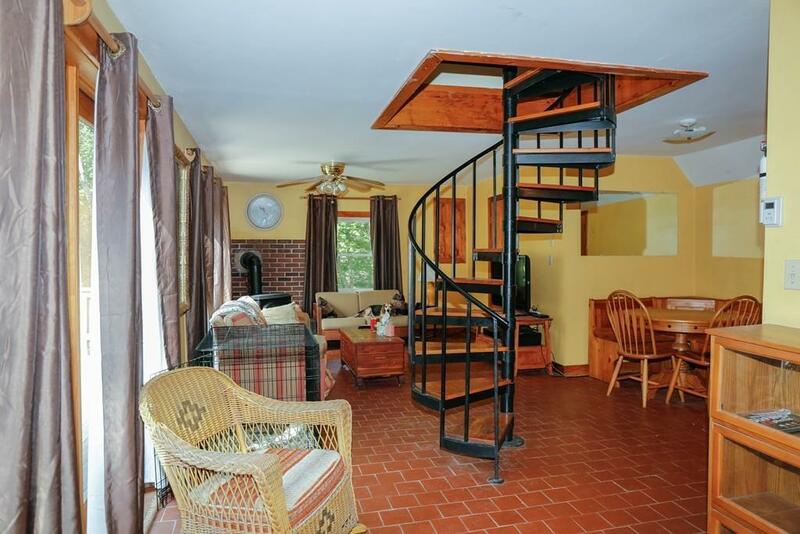 A circular staircase in the center of the open living space, leads to 2 bedrooms on the second level. A bonus room on the first floor has served as a bedroom but could be an office, den, or whatever is needed! A propane stove supplements the electric heat and makes the open living/dining/kitchen area warm and inviting. Under eave storage in the back (under the shed roof), can be re-imagined. 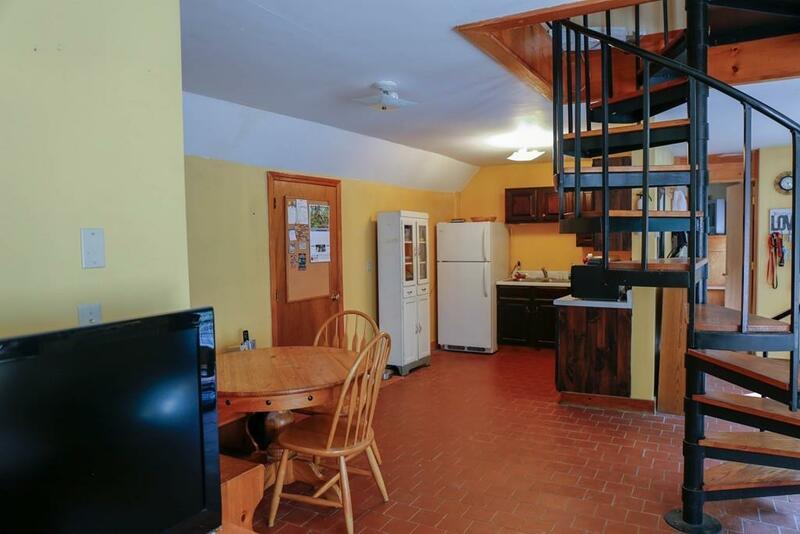 Enjoy country living within a convenient drive to Greenfield. 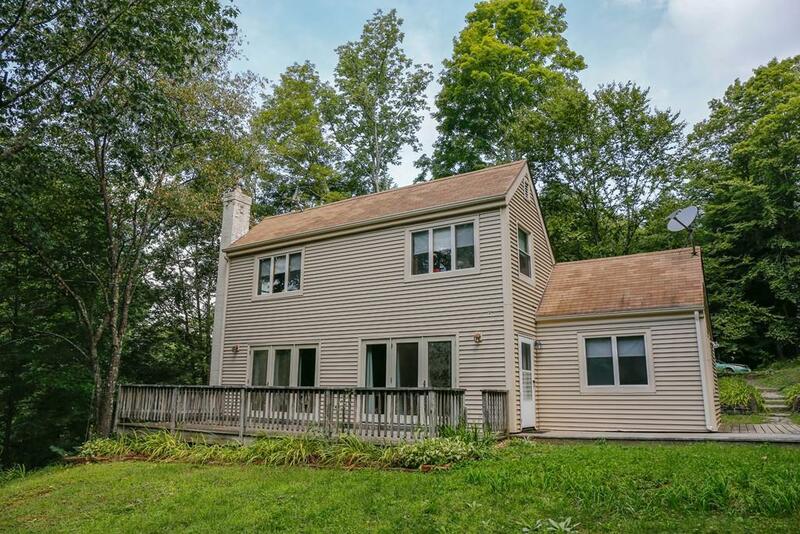 This home is ready for the next owner to love. Disclosures Driveway is A Deeded Right Of Way.